When it comes to web development, I’m hardly a power user and I’ve found iWeb to be just fine for most of the web based projects I’m involved with. That being said, there are a few features I do miss in iWeb 08. Zarra Studios comes to the rescue with its $25 add-on for iWeb called iWeb Buddy. 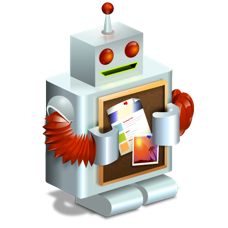 Put simply, iWeb Buddy picks up the slack for iWeb. First, it allows you to manage multiple domains. While iWeb natively supports multiple sites, it does not allow you to separate these sites into multiple domains. iWeb Buddy makes it easy to manage my family site (which publishes through .mac) and some other business sites that are published elsewhere. Another shortcoming in iWeb is web statistics. Using iWeb Buddy you can enable statistics tracking such as Google Analytics or Mint. iWeb Buddy puts the necessary scripts in and gives you access to all of those great statistics so you can figure out exactly how many people from all over the world are reading your site. As an aside, macsparky.com is huge in Fiji. Go figure. iWeb Buddy also gives a boost to RSS support. It allows you to get that RSS button off the top of the page and place it where your readers are more likely to notice it and it also allows you to tie your feed into statistical tracking services, like Feed Burner. Finally, you can make your iWeb site friendly to social bookmarking services such as Digg and del.icio.us. You simply click a preference and iWeb Buddy does the rest. iWeb Buddy is designed around iLife 08 and a license will cost $25. I know some of the functions in iWeb Buddy can be found in other applications. A few of them are even free. However, the benefit of iWeb Buddy is in the combination of these tools all in one place and ease of application. If you are looking to upgrade your iWeb site, iWeb Buddy should scratch the itch. You can find it at zarrastudios.com.